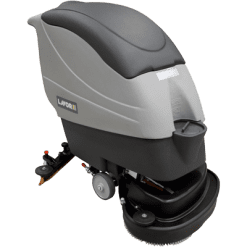 The QUICK36B Scrubber Dryer is an battery powered floor cleaning machine. 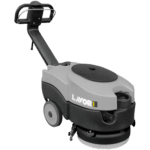 With a main rotary scrubbing brush which has a 360mm coverage and vacuum suction coverage of 450mm, as a result allowing a cleaning capacity of 1000 approximately square metres per hour. 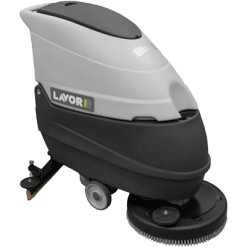 This floor cleaning machine comes standard with a 12v battery allowing for plenty of cleaning time. A foldable handle allows for easy and tight storage. In addition to all of these, it has a easy release tool free brush for quick and easy changeover. This is best suited for maintenance cleaning in workshops and large spill cleanups. 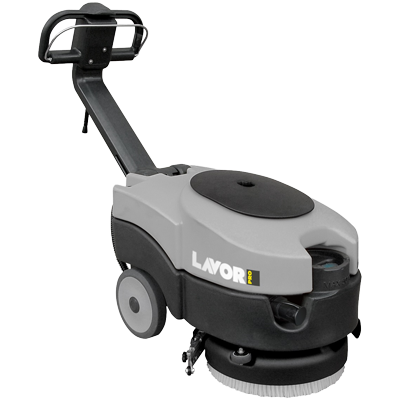 Furthermore, this is an efficient scrubber dryer for close tight work areas, especially on sealed floors or tiles. In conclusion, this scrubber dryer is suitable for operation in congested areas like small shops, offices, kitchens, bars, gyms & restaurants.